Nestled in the Rif Mountains of Northern Morocco, the city of Chefchaouen is known worldwide as The Blue Pearl or Blue City. Named for the blue colour all over its ancient medina walls that line the mountainside, the wall forms the original boundaries of the city. 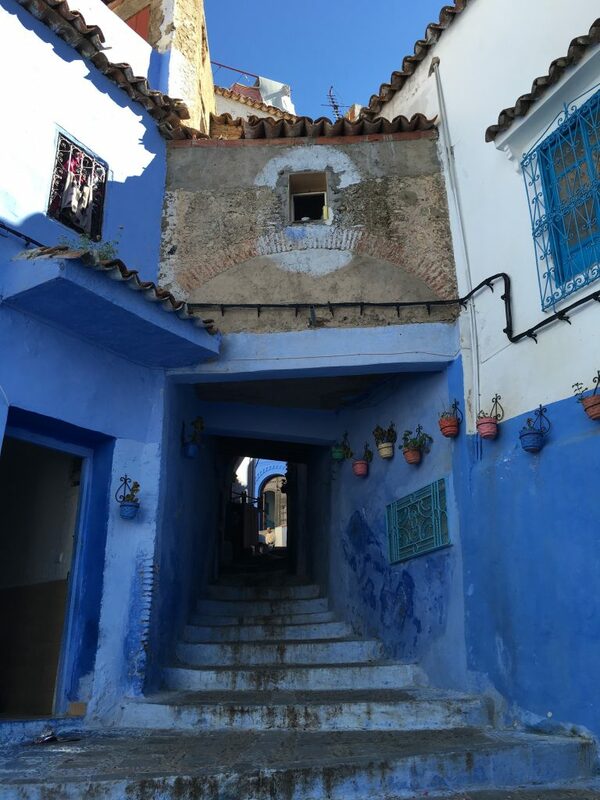 Arriving to Chefchaouen is one of the most special experiences in Morocco as you are able to approach the town from a view point across the valley and witness the blue walls shining against its mountain home. Getting to Chefchaouen there are a few options. We will often include it as a stop in one of our tours if you have time to stay overnight, or better yet, two nights which will allow you to breathe in the magic of this little town. 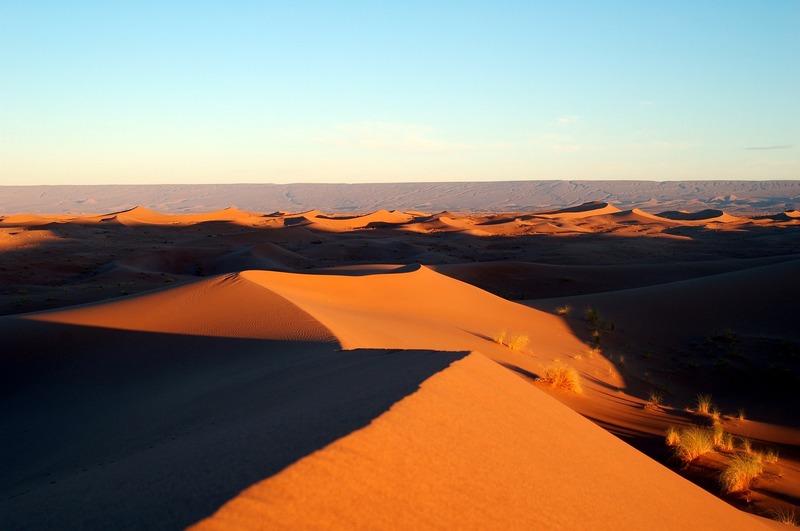 If you have time to spend here, you can from Marrakech to Chefchaouen either through the Middle Atlas mountains, or by visiting the desert and Fes along the way. You can go from Fes to Chefchaouen by bus, or from Tangier to Chefchaouen by bus, although it will take longer than in a private car. Be sure to check for the return schedule and to buy your ticket in advance for your return. The Blue Pearl is definitely a highlight for any Morocco holiday. Until a recent boom in tourism, this sacred city was mostly untouched and fairly isolated. It is a holy city and you won’t find any alcohol on offer here (so be sure to plan ahead). A very traditional lifestyle can be witnessed deep in the Rif Mountains and you will find a style of dress that is unique to this area, featuring a lot of red and white in the blanketed dress as well as colourful, pom-pom laden straw hats that come originally from this area. Well if you speak Amazigh/Berber it does. The words “Che chaouen” actually mean horns because the shape the hills above the medina look like two horns. Also, keep in mind culturally while everyone speaks Moroccan Arabic, you’ll hear a lot more Tamazight as its a traditional Amazigh enclave. Here’s one for the history buffs. The city was built in 1471 right before the Catholic King and Queen of Spain managed to reconquer the last Muslim territory in 1492. As the year is infamous for the explorations to the Americas but it also marked the expelling of Muslims and Jews from Spain. The Blue Pearl Chefchaouen served as a Moorish fortress for the exiles. Over the centuries, the city grew and welcomed Jews and Christian converts alike. There are a few interesting theories to the reason behind why the buildings are painted in that vibrant blue. Some people say it keeps mosquitos away though I don’t buy that as I’m prone to mosquito bites even in the winter and I’m pretty sure they found me there. One theory I like is that a large amount of the original inhabitants were Jews and they painted in that color because it came from the belief that dying thread with tekhelel (a natural blue dye) and weaving it into prayer shawls, people would be reminded of God’s power. So from the practice of using the dye for weaving it transitioned into the painting and repainting that lives on today. 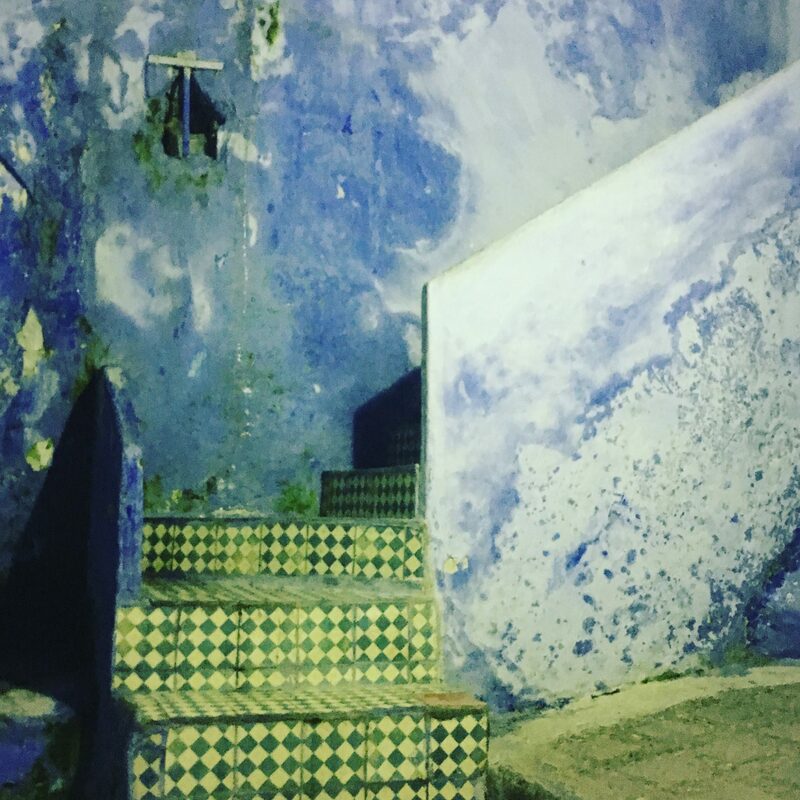 Are you interested in seeing the Blue Pearl Chefchaouen yourself? Get in touch with our team by sending us an email on roamingcamelsmorocco@gmail.com and we can set you up with a custom Morocco tour that includes Chefchaouen. If email’s not your style you can give us a call and chat with Kathi on (+212 06 81 92 05 97) or Mustapha (+212 6 61 05 36 23). Prev PostWhen’s The Best Time To Visit Morocco?